He is the author of “ALL Business is Show Business: Strategies for Earning Standing Ovations from Your Customers and Employees” which has now entered its second printing and reached the #1 spot on the Amazon.com business books best seller list. In today’s changing marketplace, organizations will be judged by their customers and employees based upon the experiences they create. Scott McKain will show you how to design and develop the experiences that are necessary to create enhanced loyalty, productivity and profits! While Scott McKain speaks on the concept of “ALL Business is Show Business,” each program will be custom designed for the precise needs of your organization. No other speaker is as qualified to talk about the role of entertainment in today’s business environment as Scott McKain. His business philosophy is the result of three decades of broadcasting experience combined with over 2,000 presentations to the world’s most influential corporations. 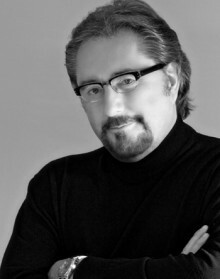 His research and experience with today’s most successful, dynamic business leaders, together with interviews with the world’s top celebrities, have allowed Scott to develop this distinctive and unique business philosophy, “ALL Business is Show Business”. Do you want to hire Scott McKain? Directly request a quote. In 48 hours we can send you the availability of Scott McKain If you would like to book Scott McKain, Entertainment Booking Agency is the right place. We will offer you the best price and contact the management or we directly contact Scott McKain. For corporate appearances or speaking engagements you can contact our agents and the will help you true the process. Tags: hire Scott McKain, Scott McKain booking, book Scott McKain, Scott McKain appearances, find more information on booking Scott McKain for appearances, Scott McKain speaking engagements, Scott McKain endorsements/spokesperson, Scott McKain appearance fees, Scott McKain booking agency contact info, biography of Scott McKain, Contact an artist booking talent agent find a speakers bureau that can book Scott McKain, speaker booking agency for Scott McKain, Scott McKain booking agency, Scott McKain booking for corporate event. EBA is one of the biggest entertainment booking agencies in the World. We book hundreds of celebrities, artist, athletes and speakers in a year. Important to know is that we are not claiming to be the management of Scott McKain. We are not the official agent for Scott McKain. Companies from around the globe book these artists and speakers true our company be course we have one of the biggest networks and we always have direct contact with the artist or the management. We help you to find the right celebrities for your corporate of private events. Please contact one of our agents to get free advice and we will help to get the world-famous artist on your party.